Living in an international community you will soon discover that food and the enjoyment of eating and cooking new and exciting foods as well as the challenge of finding familiar foods from your home country becomes a great talking point. Many a lifelong friendship has been formed over discovering where to buy the best cheese or which is the best flour for making Yorkshire puddings, pasta, flat breads. In fact here at the British International School we have made the enjoyment of food into an art form. One of the highlights of our year and one not to be missed is the International Food Week in our Primary School and the International Food Evening organised by our Parent Teacher Association. Many expats find the ease of shopping for food and groceries online less stressful than a trip to the supermarket. Knowing where our food originates is an important factor in where we buy and online retailers are keen to show the provenance and traceability of food. 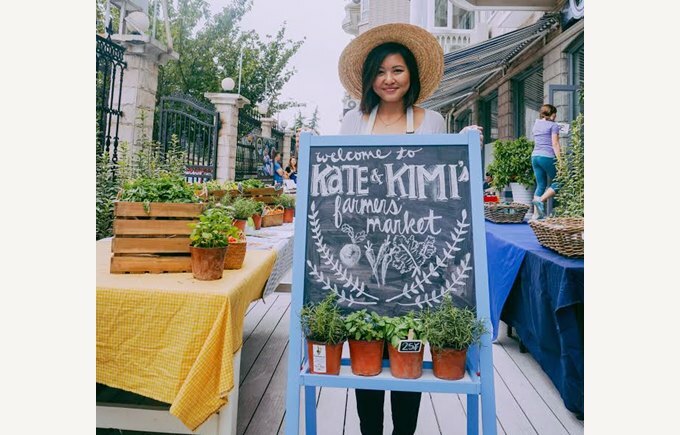 At the forefront of this rapidly growing on line market is Kate and Kimi, Fields and Epermarket. 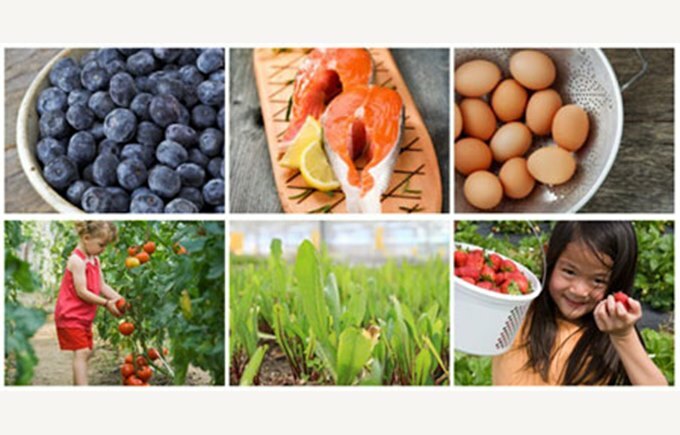 is a community-based online grocer and farmers market. Their goal is access for all to amazing, truly safe food. In partnership with Gusto Fine Foods, China's premiere grower and distributor of specialty western vegetables, their prices are comparable to the larger supermarkets. Payment methods are Cash upon Delivery, Wechat (Weixin) Payments with local card support, Paypal or your foreign credit card via Paypal. Drivers cannot accept credit cards at the door. Free delivery starts at orders of 200 RMB. The languages on the website are French, Japanese & Korean as well as English. is the largest on line grocer in China. Established in 2009, it focuses on sourcing safe and tasty local products with minimal carbon footprint complemented by high-quality imports from trusted brands and suppliers. The website operates in five languages English, Chinese, French, Japanese and Korean. There is also a dedicated Chinese site. Fields operates a loyalty scheme and payment can be made via WeChat, Cash Upon Delivery, Credit or debit card on delivery or Smart or Shande card. There is free delivery for orders over 200RMB. was founded in 2011 and is an online supermarket with the aim of bringing Shanghai's expat community a taste from home. Epermarket claim to offer 'the widest online selection of imported foods and beverages currently available in Shanghai. Payment can be by Epercard, online payments by card, cash or card on delivery. There is also a customer loyalty scheme. The website is in English, Chinese,French and Dutch. is a French supermarket in origin and offers a wide range of foods, groceries and household goods. You will be familiar with many of the brands. It is similar to the large supermarkets you find in your home country, but delivered in a Chinese style. Therefore there is live fish in tanks and enthusiastic mop sales men. Payment is by cash or card and there is a loyalty scheme. In 2015 Carrefour launched an online store that will deliver or you can arrange to pick up online orders in store. is a large cash’n’carry supermarket. There is a wide product range and it is possible to buy cheese and meat in large quantities suitable for home freezing as well as bulk buy other goods. There is also metro online. The Farmers’ market is held at the Shanghai Centre, 1376 Nanjing Xi Lu on the third Sunday of the month from 10:00am until 3:00pm except in July and August. Here you can buy organic fruit and vegetables, meat and fish as well as wines, cheeses, breads, pastries and more. Organised by the Community Centre Shanghai, the Friday Market provides a platform for entrepreneurs to offer mainly food but also beverages, cosmetics, clothing, air purifiers and many more small business owners. It offers a great opportunity for expats to showcase their skills in cooking. The Jinfeng wet market is located in Jinfeng Lu and JinHui Lu. 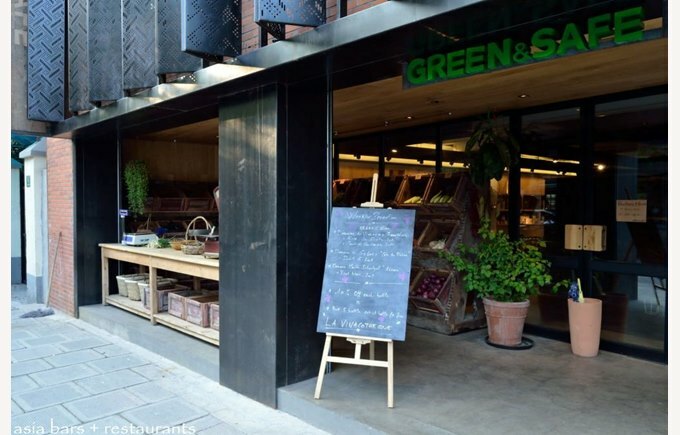 This is popular with expats to buy fresh fruit and vegetables, herbs, spices and nuts. The stall holders are friendly and the prices reasonable. In addition to the wet markets there are impromptu markets and locals selling produce in the street. A small convenience store located within the compound and good for that emergency shopping. It stocks a wide selection of international brands, bread, wine and dairy products. The shop stocks a good selection of international brands, bread, wine and dairy products. The store manager will happily deliver bread and milk or whatever you need if you've run out from 6am. This is a medium sized supermarket stocking a good selection of fresh fruit, vegetables meat and dairy products, as well as a wide range of international brands. Located next door to ODI, this store stocks many lines that you will find in Carrefour. Is a western-style supermarket similar to ODI and Jeremy’s. It stocks an extensive range of International brands and you can order your groceries online and have them delivered to your home. In addition to being a restaurant Yasmine’s has a butchers offering a wide range of meat. Is located at Fashion Mall and is a Chinese grocery store. They have pre-made Chinese food and pot noodles. RT Mart is the local Chinese supermarket located on Baole Lu. It is very useful for cleaning products and dry goods. It is also handy for stationery, batteries and household goods. 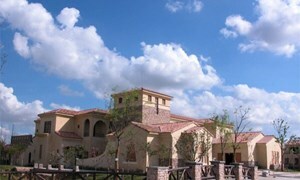 Century Mart is located on the outskirts of Huacao town and across the Beiqing Highway. It is a large Chinese supermarket. Zhu di town, located next to Huacao and within walking distance has local grocery stores and a bustling night market which sells street food and is fun to see. Squid on a stick is a particular spicy delicacy. It is enjoyable on a Sunday morning to buy a traditional spicy filled pancake from the sellers in Zhu di town. the British department store selling clothes and food is located in the city on Nanjing Lu. They have a good selection of wines and sell pre-made frozen meals like curry, puff-pastry and sausage rolls. M&S is excellent for good quality convenience foods and provides British expats with some home comforts. as well as stocking home furnishings also stocks Scandinavian groceries including frozen salmon and meat-balls. There are multiple IKEA locations in Shanghai.